In 2016, the United States gaming industry generated $73.1 billion, growing at an annual rate of 2.0%. These statistics include data from over 1,000 brick-and-mortar casinos located across 40 states, over 15,000 bars, restaurants and truck stops offering limited stakes gaming across six States, and nine iGaming operators. Needless to say, with this much money involved the gaming industry has stringent regulations to maintain the integrity of the operation and the many gaming activities. Regulators are further challenged as new factors, such as the impact of the Internet on the expansion of unregulated gaming activities, the rapid growth of the fantasy sports market and technology advances, combine to create a changing industry environment. One constant though and one of the most regulated areas of any gaming facility’s physical security is the management and control of physical keys, which are used for access to all the most sensitive and highly secured areas of the facility, including counting rooms and drop boxes. Electronic key inventory systems are a ready-made solution that offers multiple layers of security for access as well as automated reporting functions. Keys secured in the tamper-proof cabinets can be accessed by authorized individuals who have presented identification and been approved by the system to access the requested key. 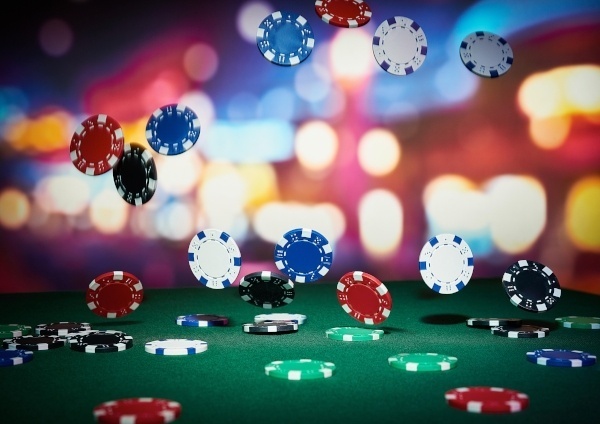 By maintaining tight control of keys with sophisticated key inventory systems, casinos, poker rooms, slot parlors and other gaming operations can better comply with the various regulations and minimize incidents of loss and fraud. Following are a few examples of how the advanced technology found in automated key inventory systems achieves these objectives. Automated – All access activity is automatically recorded including date, time, table game number, reason for access and signature or electronic signature. Only authorized users can access keys for which they have been pre-programmed to use. Authorization codes can be changed remotely and all changes are automatically implemented downstream. In today’s mobile environment, emails and/or SMS text messages to management can be generated automatically when specific sets of keys are accessed. Programmable – The system is programmable to accommodate a variety of procedures, such as accessing drop boxes outside of scheduled hours or the three-man rule for access to highly sensitive keys. Compliance regulations require signatures from three individuals, one from each of three separate departments. Typically, the three individuals would include a drop team member, a cage cashier and a security officer. The cabinet door will open and release the keys only after the three required logins are complete and the credentials verified. Reporting – The key inventory system can provide on-demand reports to trace key movements by time, date and user code, as well as audit reports that track keys in use, overdue keys and inconsistent key usage. Reports detailing unscheduled access, including the reason why the access occurred (e.g., machine jam, customer dispute, machine relocation or maintenance) are also required by many state and tribal gaming agencies. An open architecture structure enables compatibility with third-party software for generating reports such as key inventory and replacement (e.g., for broken or damaged keys) records or incident reporting. Monitoring – At any time, operators can view the status of any key, quickly locate any key in the system or determine who has taken out a given key and when. When keys are overdue, alerts are sent to the appropriate personnel via email or SMS text so that immediate action may be taken. Activity may also be monitored via mobile devices. As evidenced by their widespread use, automated key inventory systems deliver a reliable and secure solution for meeting gaming regulations.